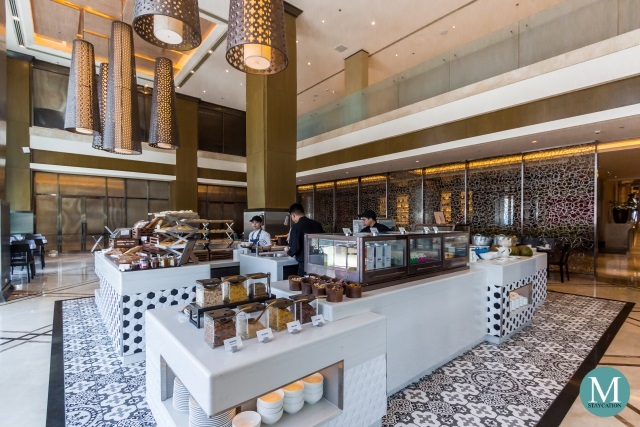 Sheraton Manila Hotel guests who booked the Member Rate Stay for Breakfast package enjoy breakfast buffet for up to two persons at the hotel's S Kitchen. 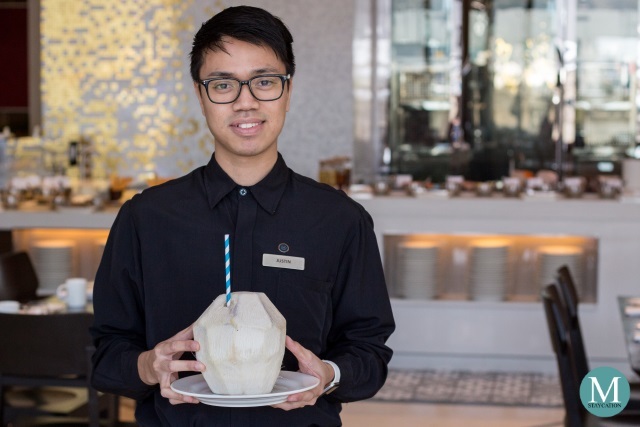 The breakfast buffet spread includes a wide selection of Filipino dishes, as well as Chinese, Continental and American breakfast dishes. 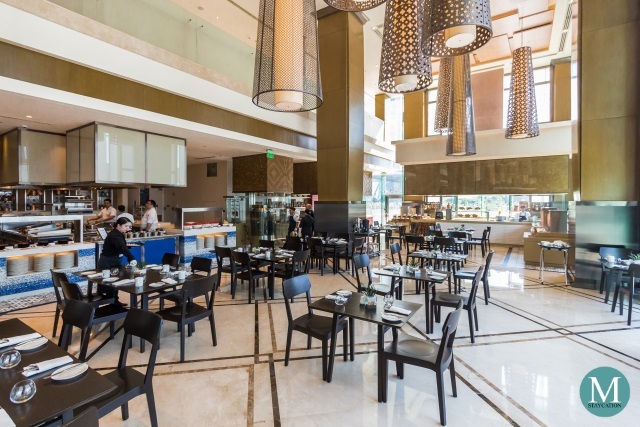 S Kitchen is the all-day dining restaurant of Sheraton Manila Hotel. 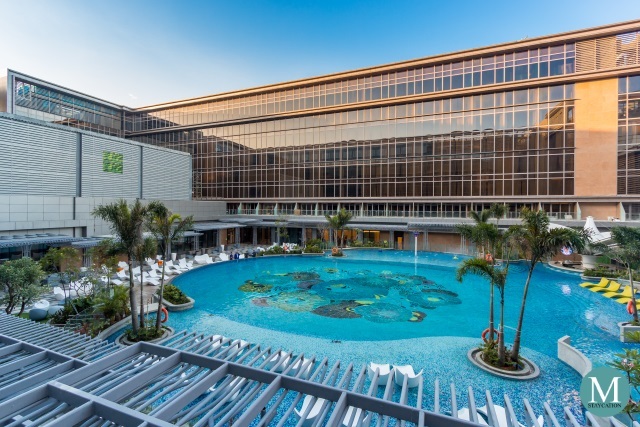 It serves local and international cuisines and is open daily for breakfast lunch and dinner. 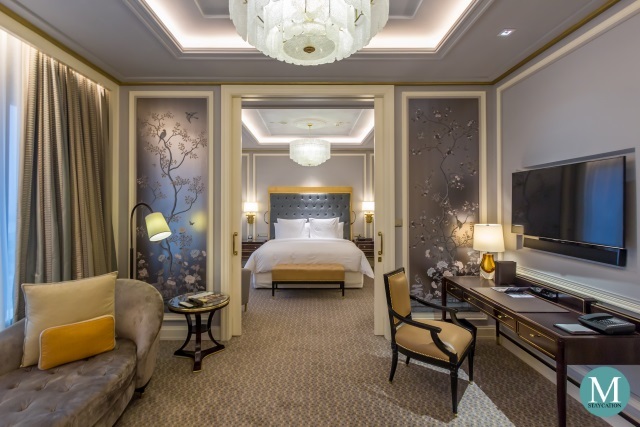 Located on the ground floor of the hotel, the dining area of S Kitchen features high ceiling and wall-to-wall glass window. 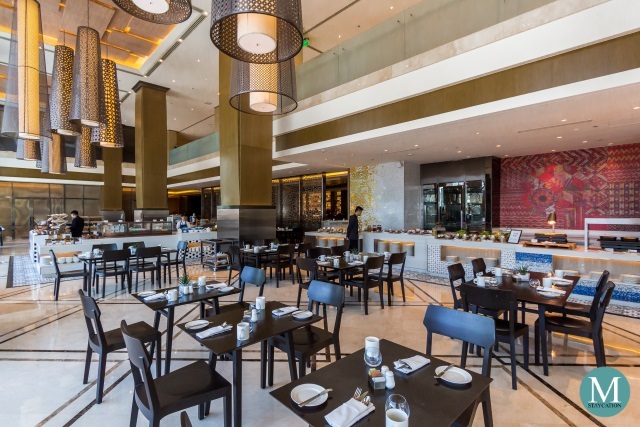 The light-filled space feels very spacious and airy, and channels the positive morning energy to the diners. 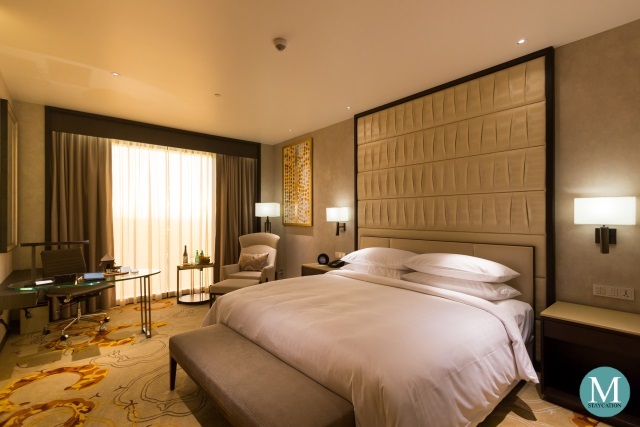 The breakfast buffet spread is designed in a straightforward manner which makes it very convenient and efficient to navigate the buffet. The breads and pastries, pancakes, cereals, dairy products, fresh fruits and chilled fruit juices are located in one station. 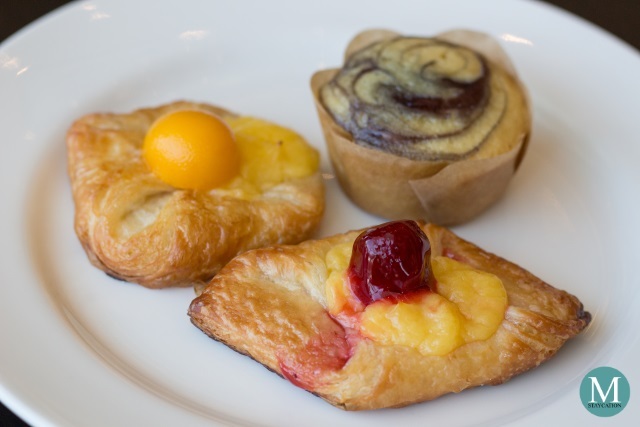 I was able to try some of the pastries and I was impressed by the quality of the strawberry and peach danish pastries. They were flaky and slightly buttery. The toppings were not very sweet, just the way I like them. 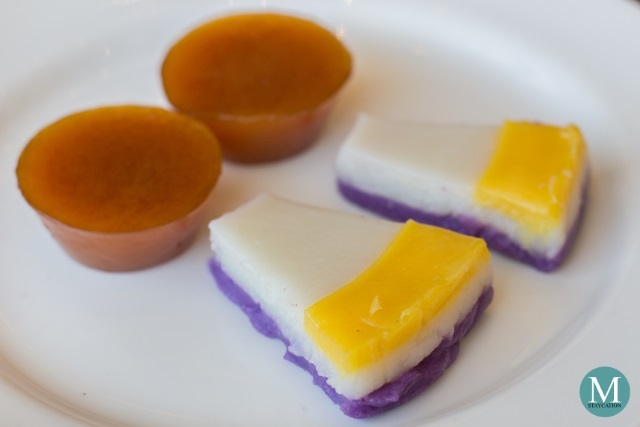 There are also local rice cakes such as sapin-sapin, kutsinta, puto and cassava cake. If you want to complete the Filpino breakfast experience, there is also pan de sal in the bread section. 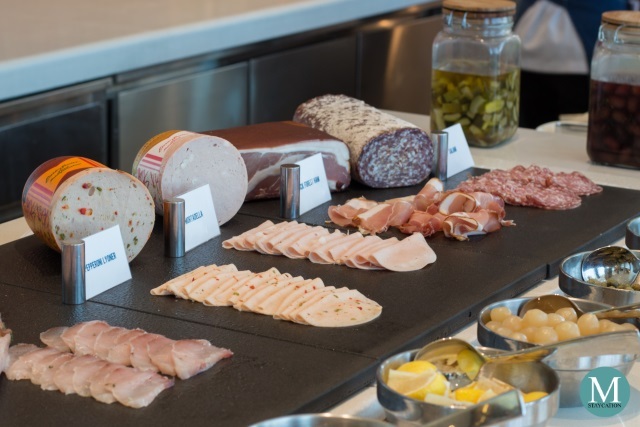 The stations for cheeses, cold cuts and charcuterie, and fresh salads are located in one area. There is a wide selection of premium cheeses and at least six choices of cold cuts including smoked salmon and a variety of pickled vegetables. The salad station has a good selection of greens and fresh vegetables which you can customize with your choice of pre-mixed salad dressings. 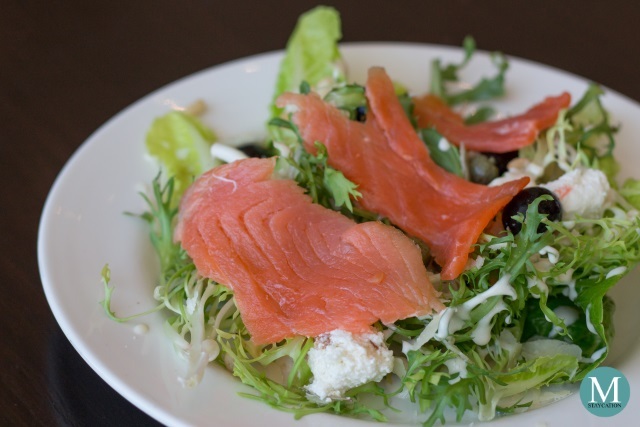 I started my meal with a Caesars Salad of lettuce mixed with olives, pine nuts, capers and topped with feta cheese, fresh Parmesan and smoked salmon. The Western Station features classic breakfast items such as sausages, bacon, grilled vegetables, potato wedges and hash browns. 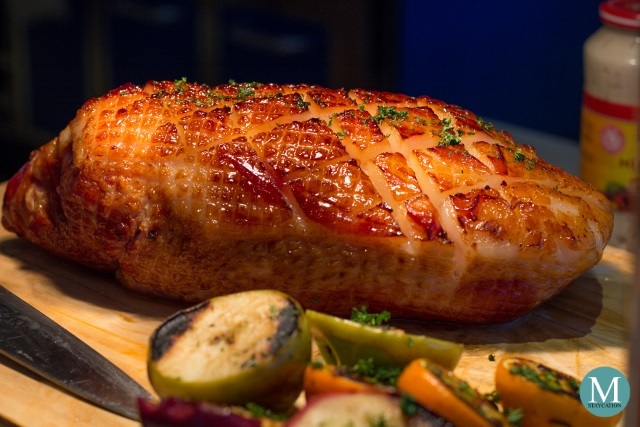 There is also a carving section serving honey glazed ham. Next is the Egg Station which offers fried and boiled eggs. 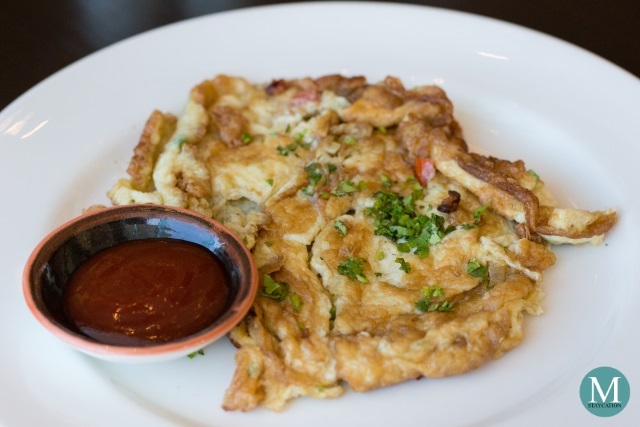 You can also order omelet which you can customize with your choice of ingredients. One of the interesting omelet ingredient was smoked salmon. 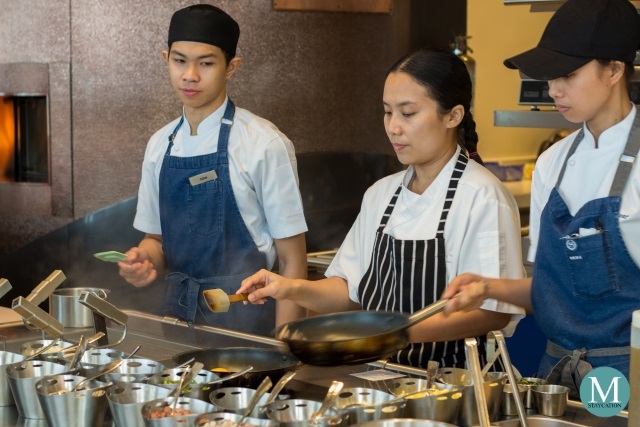 During my stay at the hotel, there was a visiting chef from Bangkok and the first thing that came to my mind was the Thai-style omelette called khai jiao. The chef offered to make me one and it was as delicious as the ones I tried in Bangkok. Khop kun krap, Chef! A whole station is dedicated to Chinese cuisine. There's dim sum, char siu barbecue pork, roast chicken, as well as Yangzhou fried rice and fried noodles. There is also a section where you can order noodle soup dishes. Choices for noodles are egg noodles and rice noodles which you can mix with vegetables, mushrooms and meats. For the broth, guests can choose from beef stock or chicken stock. 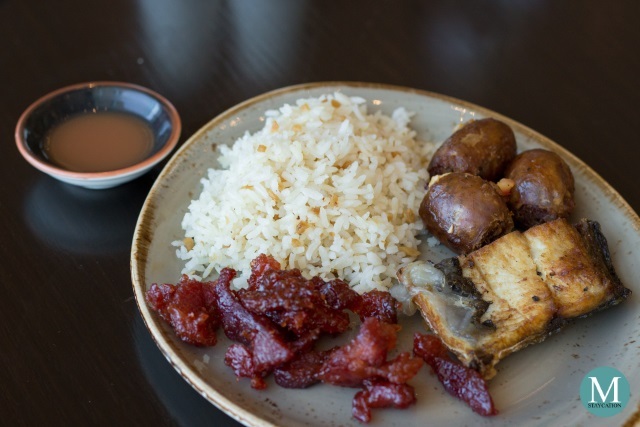 The biggest station is the Filipino Station which showcases the very best of Filipino breakfast, and so much more. 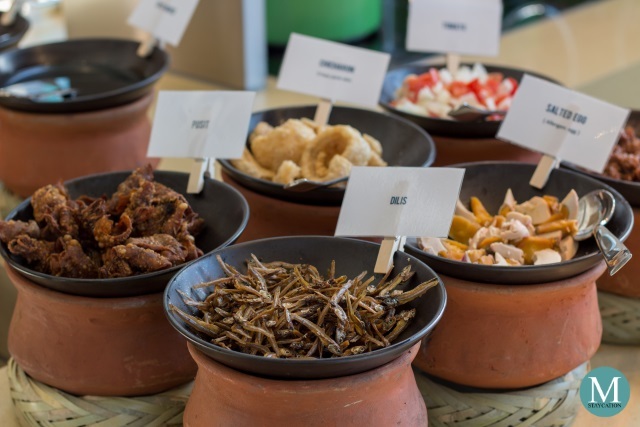 Of course there is steamed rice and garlic fried rice followed by a variety of fried dishes such as fried pusit (squid), fried dilis (anchovy), chicharon (pork belly). There's also itlog na maalat (salted egg) and ensaladang kamatis (fresh tomato salad). Another section of the Filipino Station features a variety of longganisa (local sausages) as well as beef tapa (cured beef), daing na bangus (fried milk fish) and tosinong baboy (sweet cured pork). 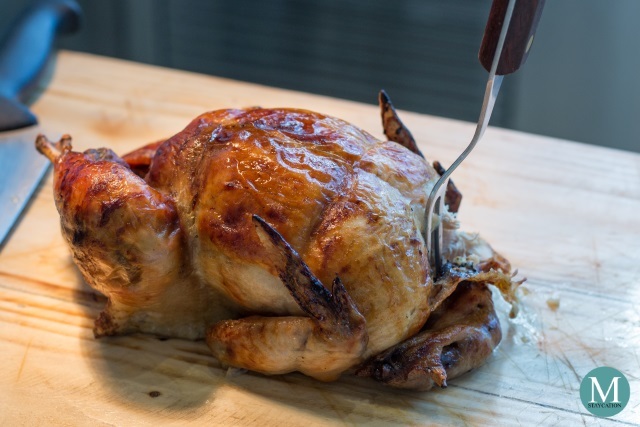 S Kitchen also serves lechon manok (roasted chicken) fresh from the grill. Here is my Filipino breakfast plate consisting of garlic fried rice, pork tosino, daing na bangus and lucban longganisa. It is also worth mentioning that S Kitchen showcases local vinegars, and there are plenty to choose from including sugar cane vinegar, palm vinegar, rice vinegar, and spiced vinegar like sinamak and pinakurat. Kudos to S Kitchen! 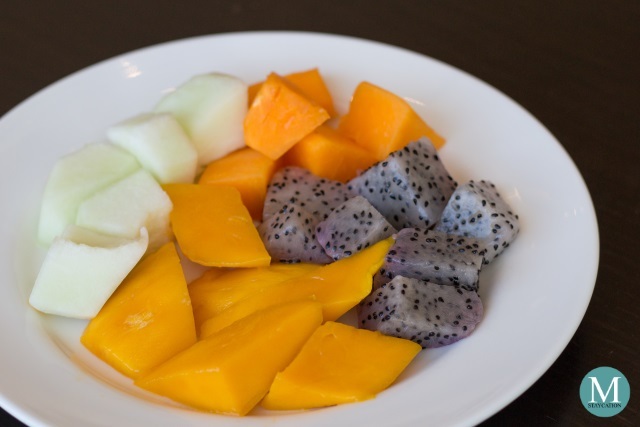 I ended my meal with a plate of tropical fruits, including honeydew, papaya and dragon fruit. I admire S Kitchen for including Philippine mangoes in the fresh fruit section, especially noteworthy because mangoes are not yet in season, yet they are very sweet, definitely the best in the world. 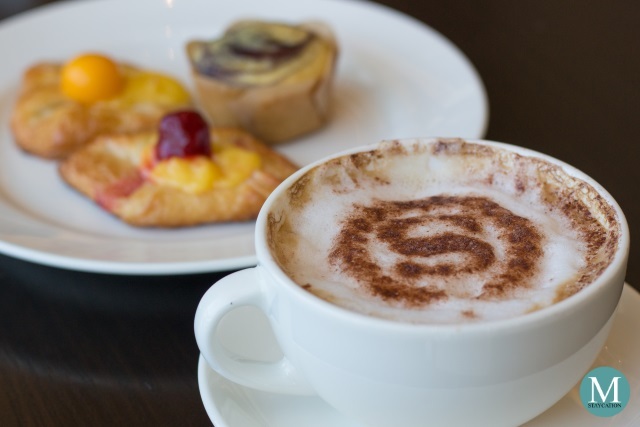 The breakfast buffet includes free flowing fruit juices as well as coffee and tea. 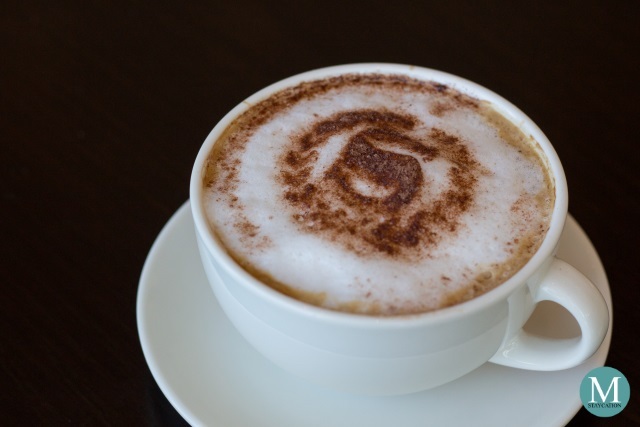 The cappuccino served at S Kitchen are really good, so good I had two servings of it. S Kitchen is also one of the very few, if not the only one, serving fresh coconut juice in Manila. On top of the excellent food choices for breakfast, the customer service here at S Kitchen was superb. Super thanks to Justin for taking care of us during our breakfast. We barely had to stand up to get drinks. See you guys again soon! 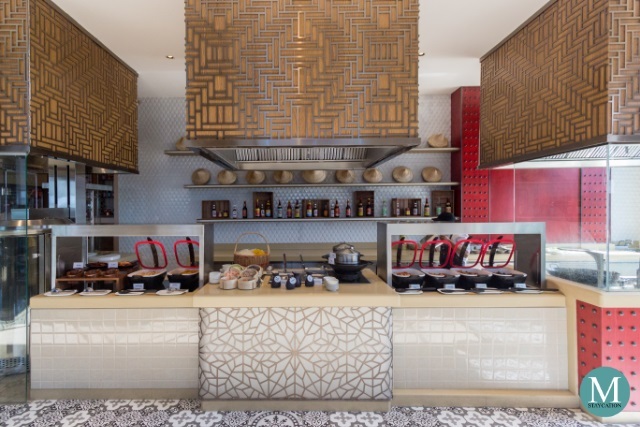 The Breakfast Buffet at S Kitchen is available daily from 6:30am to 10:30am. Walk-in guests are also welcome to dine.